I’m guessing you probably stopped by hoping to find a recipe for something exciting like peanut-butter chocolate cake or frosted cinnamon rolls. Maybe a nice cheesy casserole or a chocolate Easter bunny. I’ve been sidetracked lately by the dazzling microcircuitry and super-powers of the cerebellum, my favorite brain region. You might want to stick with me on this, especially if you’re curious about the many ways gluten can wreak havoc on your health and derail your Cirque du Soleil ambitions. Ataxia is a lack of muscular coordination and balance. It’s a loss of precise movement. The main function of the cerebellum is to evaluate how well movements initiated by motor areas of the brain are actually being carried out. It’s responsible for orchestrating muscular action in a controlled way. If the motor areas of the brain aren’t skillfully doing their jobs, the cerebellum detects the discrepancies and via a complex network of feedback signals, attempts to correct the errors. 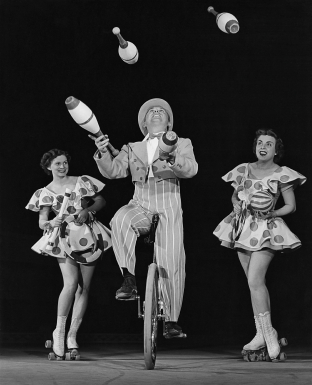 If you want to ride a unicycle and juggle while being distracted by women in short skirts twirling around on roller skates, you better have a high-functioning cerebellum. Do you remember world-class, short track, speed skating champion, Apolo Ohno? Didn’t it make you a little nervous watching him bumping elbows with the South Koreans while taking corners at high speeds? He was practically horizontal. My gosh, how did he manage to stay upright (at least most of the time)? That kind of movement takes dynamic balance, sensory control, reflex adjustment, and incredible coordination. The cerebellum takes note of everything that’s going on with the body in space and makes instant adaptations to maintain equilibrium. That’s if nothing is sabotaging its performance (and yours). This under-appreciated little structure of lobes, white matter, grey matter, and other assorted goodies accounts for only 10% of the brain mass, but contains approximately half the neurons (specialized nerve cells) in the brain. That gives you an idea of how important it is. 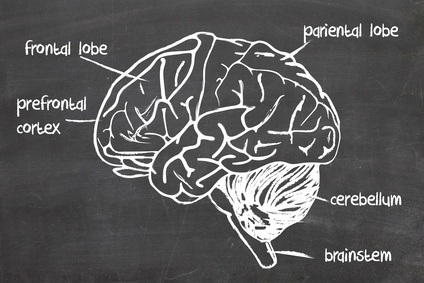 Researchers are also finding the cerebellum plays a roll in cognitive function and language. There’s a lot going on in that part of the brain. Now throw some gluten into the mix and you might have problems with even the simplest of movements. Like walking, skipping, catching a slow-moving beach ball, or retrieving a word from the tip of your tongue. Cerebellar ataxia is one of the most common neurological manifestations of gluten intolerance. Such is the case with gluten ataxia. People with the genetic and environmental susceptibility to gluten ataxia may not even have gastrointestinal symptoms, although the problems begin when gluten hits the small intestine. Unfortunately, the potential for damage doesn’t stay there. It can also have an impact on the brain. Studies show that 60% of patients with gluten ataxia show cerebellar atrophy on MRI. One study I read suggested that prolonged exposure to gluten in people with gluten ataxia was irreversible. Obviously, the sooner the diagnosis, the better. I’m not a doctor (I’m a nutritionist taking ballet lessons), but I believe a healthy gluten-free diet of nourishing whole foods and activities that stimulate cerebellar function can do wonders for people with neurological problems and can be protective for those without. Dance lessons, yoga, tai chi, juggling, tennis—any activity that requires balance, movement, and attention to detail. Even tossing a beach ball back and forth stimulates the movement centers of the brain. Research shows that structural changes occur in the brains of people who engage in activities that require balance and coordination—jugglers, basketball players, speed skaters, dancers. If there is evidence of architectural changes, then why not exercise your cerebellum? Nothing to lose and everything to gain. Plus, you might have fun in the process. Latin dance lessons? Ballet? Check out this video of cerebellar rock stars, Bob, Trish, Chip and Laura. It’s short (1:17), fun, and will give you an idea of what it’s like to have a top-notch sense of balance and coordination. This kind of skill takes a lot of dedication and practice and I bet on MRI, these folks would have a blue ribbon network of neurons guiding their movements. They’re exercising their bodies, but they’re giving their brains a workout as well. Dance, twirl, and exercise your brain. Your cerebellum with thank you. • Sultan, F et al., “The cerebellum: Comparative animal studies,” The Cerebellum, 2007; 6: 168–176. • Hadjivassiliou, M et al., “Gluten Sensitivity: from gut to brain,” Lancet Neural, 2010; 9: 318-330. • Sapone, A et al., “Spectrum of gluten-related disorders: consensus on new nomenclature and classification,” MBC Medicine, 2012; 10: 13. • Gerard J. Tortora et al., Principles of Anatomy & Physiology (New York, NY: John Wiley & Sons, Inc., 2003), 462-463, 472. • William D. McArdle et al., Exercise Physiology: Energy, Nutrition, and Human Performance (Baltimore, MD: Lippincott Williams & Wilkins, 2007).